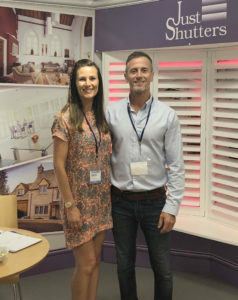 Simon and Georgina Broadhurst (pictured right) are your local shutter specialists. They have an expert eye for design and passion for transforming the properties of Surrey. We believe that offering the finest quality products at great prices is just one step towards offering our customers the very best, that is why we make sure we couple this with expert advice, exceptional service and a lifetime guarantee. We are so convinced of their quality and our expert fitting service, that our shutters come with a lifetime guarantee. 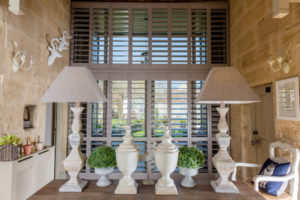 Our shutters are as unique as you are, but one thing you can be certain of every time is that our expert Shutter Designer will work with you, to make sure you have the very best option for your home. Giving you the very best quality and value possible. Just Shutters have ranges to suit your budget, our products all offer fantastic value; from our entry level CraftWood range that come in five beautiful and popular colours, through to our luxurious hardwood ranges which can be customised to fit any shapes and colour scheme. When you are considering making a long term purchase for your home, it is so important you use a company you can trust. We pride ourselves on our reputation for excellence and with over 8000 happy customers and 1600 published reviews, we hope our work and customer service speaks for us. We are the experts; shutters are our passion and our speciality. Call us today on 01932 500 270 and see how we can make your windows and doors into a work of art. We are extremely pleased with the service and completed work. Bay window and upstairs hall plantation shutters.